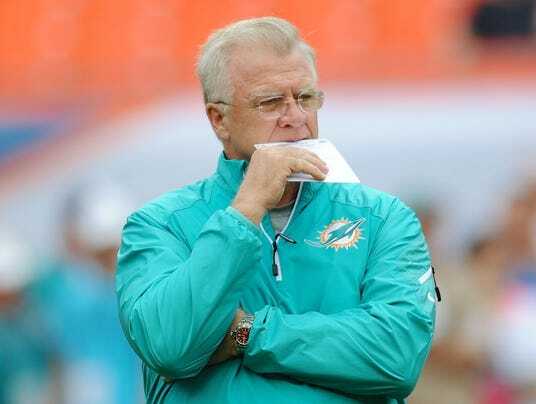 Miami Dolphins offensive coordinator Mike Sherman has been fired, according to multiple media reports. Sherman's offense this year was very poor and he seemed to be the scapegoat (other than Jeff Ireland, of course). I agree with the move. I would like Miami to bring someone who can help Tannehill's development. Tannehill was able to have two years of NFL experience with a familiar coach where he knew the playbook. Now it's time for him to take the next step. It was reported that owner Steve Ross wanted Sherman gone while head coach Joe Philbin wanted to keep him. It appears in the end the man with the money won the battle. There are rumblings that Ben McAdoo, who is currently the Packers QB's coach, is a favorite to be Sherman's replacement. To me that seems like an excellent move because McAdoo has experience mentoring one of the best quarterbacks in the NFL in Aaron Rodgers. Joe Philbin actually requested to interview McAdoo when Miami was looking for an offensive coordinator two years ago, but the Packers denied that request (source). We'll see what happens. I'm sure there will be more news soon.